Don’t argue, succeed. To do this, you have to decide if it’s worth the effort to win. If you’re engaged in frequent, long drawn-out battles, you’re doing it wrong. Organize only those things that you use on a regular basis. Trying to get every part of your life under control is next to impossible and just leaves you feeling down. Who cares if it takes an hour to find the paint scraper you only use once a decade? Give yourself a break. Come Monday. . .reminds me of a Jimmy Buffett quote: “. . .life is much more manageable when thought of as a scavenger hunt as opposed to a surprise party.” Go scavenge. Will you still feed me, when I’m ninety-four? Things are finally settling down from our rash of graduations, parties, and health events. A series of significant life events marking the course our lives. 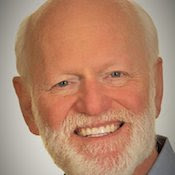 Earlier this morning I was reflecting on the past 8 weeks and when I pulled up my perspective file, I saw my notes from a Marshall Goldsmith presentation from 2016. If you’re not familiar with Mr. Goldsmith, he is quite the character. A funny, happy man. and not just because he gets north of $250K for an executive coashing assignment. Among the various tidbits of advice I marked down from the affable Goldsmith is his suggestion that for instant perspective, we close our eyes and imagine ourselves at 95. Imagine that you’re still healthy, very happy, and filled with the wisdom of a life well lived. Then take it a step further and imagine the 95 year old you gets to travel back to visit the you of today. Future you can impart one piece of advice. What is the one thing 95 year old Greg would tell the contemplative Greg of today? As I’ve mentioned before, I love airport books. You know, those big name paperback writers like Patterson, Baldacci, and Child. Long on plot, heavy on action, and short on character development. They keep me entertained, clear out the brain plaque, and are a welcome distraction from heavier fare like the Derren Brown book I’m working through, Happy. I mention these books because I have subscribed to a service called Masterclass. One of the reasons I did this was to take a class on comedy taught by Steve Martin, and the other was to take a class from James Patterson. If you’re looking for a late Father’s Day gift, send that to pops. In the class is Patterson’s outline for the book Honeymoon. In the class he said something like, “You only need an outline to sell a book, like the one I did for Honeymoon.” What he left off was the part about being a once in a lifetime storyteller named James Patterson. After reading that outline I thought, why do I even bother?